The issue of cost is likely to be what first attracts a small business owner or office manager to the idea of making the switch from landline to VoIP. Anyone who has used Skype or another similar platform can recognise that the internet is capable of providing a highly cost effective means of making calls. Naturally, this doesn’t mean that using VoIP will come at no cost whatsoever, and there are many potential expenses that may or may not be necessary depending on your business’ telephony requirements. So how much does VoIP cost? The best way to make sure you get the best deal for your company on VoIP is to get multiple quotes from trusted suppliers. By setting out your company’s needs both in the present and the future, and then comparing the estimates that come back, you will be in a position to get the best deal possible for your business. Before you do so, however, it pays to be informed about the kinds of options that are out there, and what they entail when it comes to costs. On the cloud or in the office? The biggest single decision when it comes to choosing a VoIP system is whether to use a cloud-based hosted system, or to have the system installed in your premises. Hosted VoIP systems are by far the more popular option with small to medium businesses, for the obvious reason that they don’t involve huge start up and installation costs, and there is much less expense when it comes to buying and implementing the hardware. What you lack with a hosted system however, is control. An on-site installation will give your business more power over its own telephone system, which can be a great help when things go wrong. In fact, there are pros and cons to each system, as outlined below. A premise-based VoIP system runs on your company’s existing infrastructure and is connected directly to the telephone network. You will need to have engineers to install the system and to make all of the necessary upgrades. It essential that you have in-house personnel who can manage and maintain the system, which may not be possible for many smaller businesses. The key advantage to having the VoIP system installed on the premises is that you can control the upgrades to the system, and hone the equipment so that it meets your company’s needs precisely. With a hosted VoIP system, all of the hassle of maintenance is taken away, as is the need for on site engineers and extensive hardware. The host provider will control the management of the system, and your company will be charged at a fixed rate according to usage. With a hosted system it is easy to change the rate of usage, perhaps of because of a change in the numbers of people using the system, and there is very little technical know-how needed on your part. The downside of using a hosted system is that you are totally reliant on a third-party for your telephone needs, and you don’t have the ability to upgrade the system as and when you might like. The standard way to make a decision on which type of VoIP system to use is to look at the numbers of people who will be using it, and this in turn affects the costs involved. Large companies that have 20 or more people making regular and extensive use of the telephone tend to opt for an installed system. These are destined to support a particular number of users, depending on the model, and they incur an initial purchase fee for both hardware and software, as well as installation costs and potential consulting fees. With a hosted VoIP system there is much less in the way of up-front costs, and these systems are much better suited to businesses that have 15 people or fewer using the telephone regularly. Providers usually charge a monthly fee, which is scaled according to the number of users it supports and the amount of minutes it offers, as well as various additional features like video conferencing and unified communications. In choosing a hosting provider it is essential that you have a clear idea of your business’ telephone requirements, including the number of people you need the system to support, and the extent to which international calls are a factor. 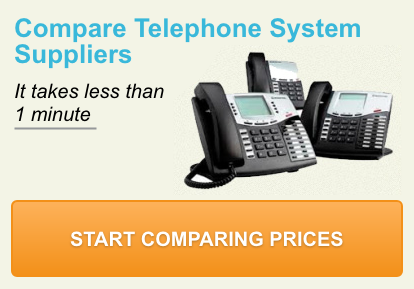 Comparing a number of the various pricing packages offered by the leading hosted VoIP providers will enable you to make an informed decision and choose the right package for your business.